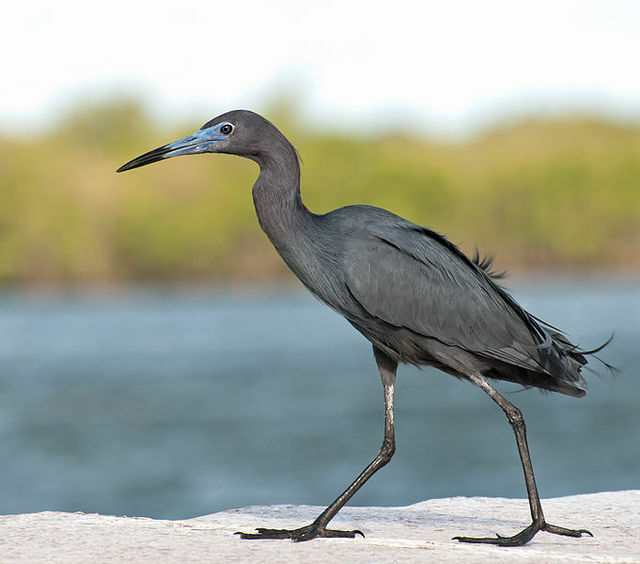 The Little Blue Heron is a small heron. It breeds from the Gulf states of the USA through Central America and the Caribbean south to Peru and Uruguay. It is a medium-large, long-legged, heron with a long pointed blue or greyish bill with a black tip. I have never seen that bird until today right outside my home, it was so strange and unique n I thought it was lost from the zoo or smt! I came upon this blog and found it and am surprised cause I didn't think it was common. I even took pictures. Saw one this morning on the north coast of Jamaica where they are quite common.